Unions and student groups are calling on the Liberal government to change labour laws that allow interns to work unpaid. The Canadian Intern Association says new proposals made by the government allowing interns to work unpaid for up to four months full-time leads to precarious employment. The federal Liberals are facing a growing backlash over proposed regulations that would allow federally regulated workplaces to hire unpaid interns, which advocates say flies in the face of the government's campaign pledges to help young workers. The proposed regulations are a holdover from the previous Conservative government, whose last budget bill set the stage for changes to the labour laws to protect unpaid interns. Labour unions and student groups want the Liberals to change proposals unveiled quietly in December that would allow interns to work unpaid for up to four months full-time or up to a year part-time. The rules would allow that one year of part-time work to be repeated for another year if the intern was not with a company for at least three months. The Canadian Intern Association said the proposal creates a legal loophole that could lead to young workers finding themselves in precarious jobs. The association posted a scathing online letter to Labour Minister MaryAnn Mihychuk saying it is pulling out of consultations because it doesn't want to "haggle over the minutiae of the degrees of exploitation." 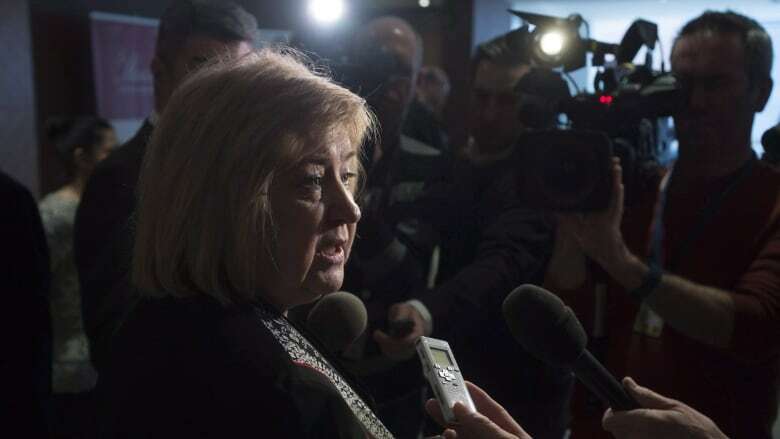 In a statement Tuesday, Mihychuk said the government plans to address issues associated with unpaid internships and urged all stakeholders to remain part of the government-organized consultations. "Working to address issues related to unpaid internships is part of our plan to increase the number of good quality, permanent jobs for younger workers," the statement said. Amy Kishek, director of government relations for the intern association, said holding firm on the regulations "is at odds with the government's commitment to youth job creation." She said the issue is now a political problem for the Liberals that requires a political solution. The Liberal election platform included spending $1.5 billion over four years to create thousands of jobs, internships and apprenticeships for young people as part of a youth jobs strategy. The party said a Liberal government needed to "take every action" to ensure young workers "have the ability to get their careers off to a strong start." Groups like the intern association assumed the Liberals would limit unpaid internships to those that were part of an education program. That wasn't the case when the latest proposals were circulated in December, leaving unions and intern advocates to use a conference call last month to push for a restart of the whole process, said Chris Roberts, social and economic policy director for the Canadian Labour Congress. Andrew Langille, a Toronto-based lawyer who advocates for young workers, said the proposed rules would be akin to an unpaid probationary period for new hires and would be a radical departure from labour standards in the provinces, the United States and Europe. He said the wording being proposed could also see training periods go unpaid because they are considered of benefit to the intern. Langille, who is also general counsel for the intern association, said the government's response to the latest development in the saga suggests it is "in the process of contributing to higher youth unemployment and higher rates of precarious work amongst the youth cohort in Canada."